Work-life balance for one of India's Most Powerful Women does not come easy. Manisha Girotra, Chairperson and Managing Director, UBS India, says her first thoughts, when she decided to move on, were: "I can spend more time with my family, at least for the next few months." Girotra joined the banking giant in 1998 and during her stint, has advised several giants of Indian industry, including Mukesh Ambani's Reliance Industries. She does not, however, intend to rest too long. She believes that a workplace without women is like food without spice (Ms Moneypenny, BT, November 28, 2010). "I will do something on my own in the second quarter of next year, after March," she says. Are these exciting times for India? "We have a robust economy, but India can't be insulated from global turmoil, especially with Europe dragging everyone down," she says. "Inflation remains a concern. For Indian banks, the next 12 to 18 months are going to be a challenging period. It is a time to be cautious." Alain Baran, 60, was once personal secretary to Herge, the creator of the immortal comic character, Tintin. Baran, who now spends six months a year in Goa, is delighted with the release of The Adventures of Tintin: The Secret of the Unicorn , directed by Oscar-winning filmmaker Steven Spielberg. 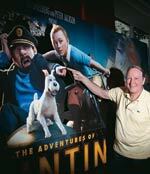 "After 30 years, Tintin comes to the big screen," he says. "Initial negotiations with Spielberg started in 1983 and the first agreement was signed in 1984." Herge's ambition was to be a journalist, which he felt would allow him to travel widely. "But Herge could not fulfil that dream. So he created a young reporter Tintin, a comic book character who travelled the world," says Baran. He is co-founder of Studios Herge, previously Foundation Herge, a Brussels-based organisation aimed at protecting Herge's work. His wife and he also run Trainor & Partners, a firm specialising in quality management consulting and clinical research. India is the hub of its Asia operations. The son of an Indian Railways Officer, Siddharth Yog, 38, made news recently when he donated $11,000,001 to Harvard University, the final dollar as part of the Indian tradition of shagun for good luck. Yog, who graduated from Harvard Business School in 2004, is the Managing Partner of Xander Group Inc. He believes he can never repay his teacher and mentor Professor Arthur I. Segel at the Harvard Business School for the education he imparted. The donation will also establish a Xander University Professorship at Harvard and provide financial aid for students. His uncanny ability to spot opportunities has turned DR Arunachalam Murugiah Arun, Chairman, Vasan Healthcare, who studied medicine but chose not to practice it, into one of the fastest-growing entrepreneurs in India's healthcare sector. His grandfather started Vasan Medicals to retail medicines in Trichy, Tamil Nadu, in 1947. The company is now one of the largest medicine retailers/wholesalers. 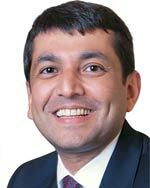 Arun retained the same name for his healthcare business too. In 2002, he set up his first eye care hospital. Now Vasan Healthcare is the world's largest eye care network, with 100 centres across the country, employing 800 doctors and 8,000 employees, and treating over 20,000 patients a day. Arun's aim is to become the world's largest healthcare provider. The Social Entrepreneur of the Year 2011 award for Neelam Chhiber, from the Geneva-based Schwab Foundation for Social Entrepreneurship, is well deserved. The 49-year-old is the founder of Industree Crafts, which sources products from local artisans and retails them through its own chain of Mother Earth stores in eight cities. 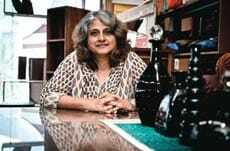 Chibber, who studied industrial design at the National Institute of Design, Ahmedabad, got hooked on handicrafts while working as a design consultant with ITC Exports and Uttar Pradesh Exports Corporation. Industree Crafts has made a difference to the lives of over 10,000 marginal artisans in 10 states by organising them into communities, setting up common production bases and incubating their enterprises so that each of them now earns Rs 3,000 to Rs 15,000 a month. Formerly the head of European sales for Royal Enfield , Ashish Joshi will now help sell British bikes to Indian consumers. The Triumph Motorcycles brand may not be as well known as the American Harley-Davidson, but aficionados talk of the Triumph Bonneville and Daytona in reverential tones. "I think Harley-Davidson and Suzuki have done a great job in seeding the market for premium motorcycles. 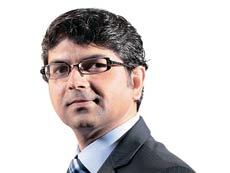 I believe that there will be a large market for high-power motorcycles in India," says Joshi. Triumph plans to showcase a few products at the 2012 Auto Expo in New Delhi in January.